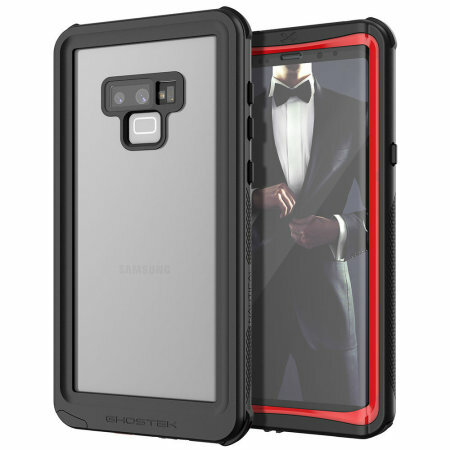 Shield your precious Samsung Galaxy Note 9 on both land and at sea with the extremely tough, yet incredibly stylish Nautical 2 Waterproof case from Ghostek in black with red trim. Protecting your Note 9 from depths of up to 1 meter for up to 30 minutes. Got it in just 8 working days., got to be jonest , i thought i got scammed but it arrived right away. Fast delivery even if it was shipped fron england.